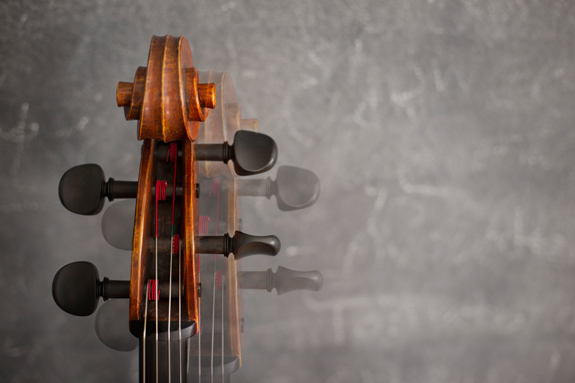 A classic rule for playing music with a repeat: do it differently the second time. Frankly, I've found this bit of musical advice completely unhelpful! I'd like to propose another way of thinking about the repeat. 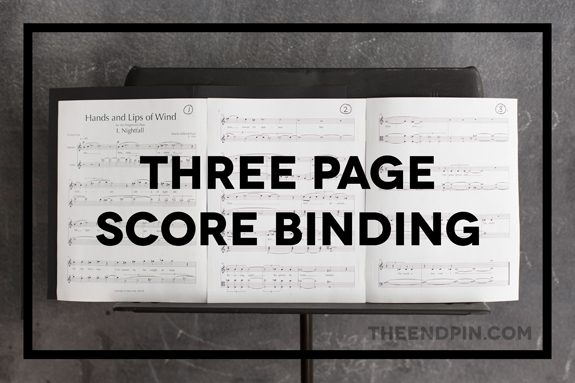 Instead of treating repeated music as “the same thing, but different,” interpret the repeat using the emotional baggage your music would have accumulated the first time through. To demonstrate what I'm getting at, consider speech. How would you communicate differently if you had to repeat yourself? "I can't believe you did that! I can't believe you did that!!" A toddler screaming "no no NO NO NOO!" Whether it's a heavier emphasis on "believe" or a crescendo on "no," when we repeat ourselves in speech we use timing, dynamics, and articulation to communicate our emotions and intentions. Repetition is a device for communication, not a superficial chance to hear ourselves again. To put it another way, performing with emotional baggage creates an emotional narrative. The possibilities for that narrative can be endless, and the repeat can become part of a larger arc instead of just another possible interpretation. Has the wailing grief subsided into shocked numbness? Has the playfulness taken on a more mischievous tone, trying to toy with the listener instead of play with them? Instead of wondering how the music can sound different, ask how you can make the music sound like an authentic reaction. 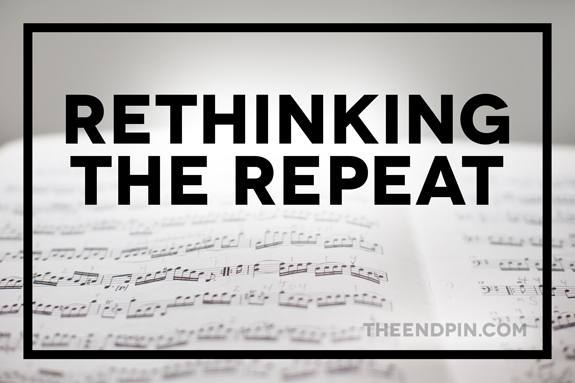 Repeating can be a chance for us to dive more deeply into our music's narrative, to explore nuance, and reveal deeper emotional understanding. 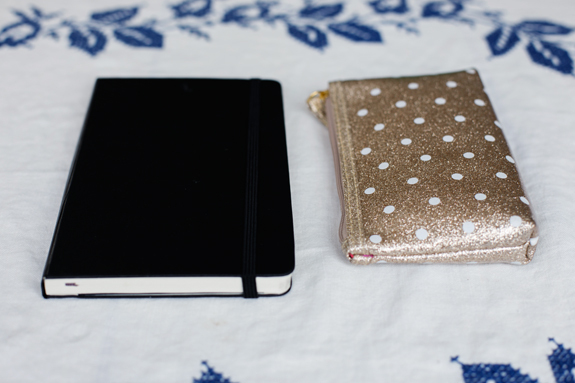 Growing up, I was never a person who could maintain a journal. I still have the one I attempted; I got about four entries in, each of which I printed out on my dot printer - the kind you had to rip the edges off of - and taped in using my Lisa Frank tape (I was super cool). I never really understood what was so great about journaling. This year I think I finally got it. 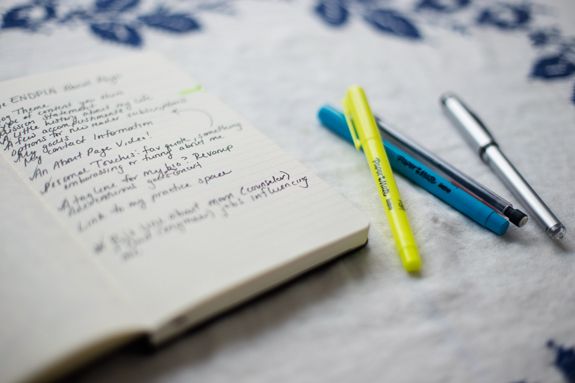 Journaling isn't about recording your best ideas, it's about capturing all of your ideas and getting them out of your head so you have room for new ones. When you're stuck, journals become idea machines, not just for the ideas you've already written down, but for the new ideas the old ones inspire. It's kind of magical. 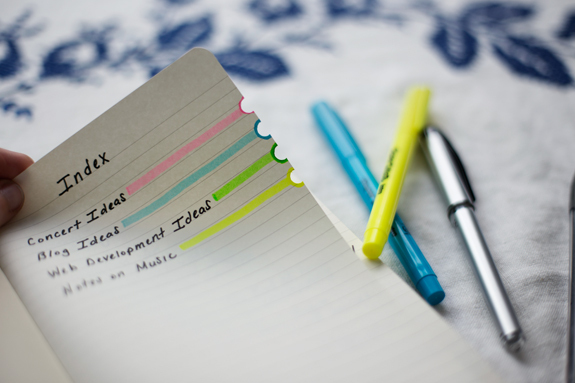 I use my journal to list out concert ideas, blog ideas, things I want to do online, and notes on music in general. It's all very messy and I try not to worry about whether anything I write is worth recording. Now, my journal goes everywhere with me and I credit it with a great deal of the surge in creative energies I've been feeling over the past several months. Highly recommend. 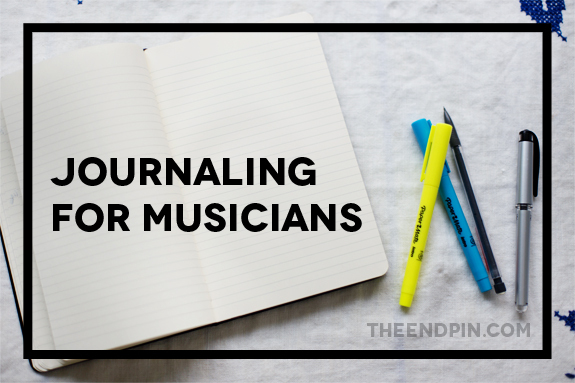 Any other music journalers out there? Well, today I'm going to fall into the former category along with Karl Paulnack, dean of the School of Music at Ithaca College. I met him when he was the Director of the Music Division at Boston Conservatory, and he taught me a metaphor I've been using ever since. 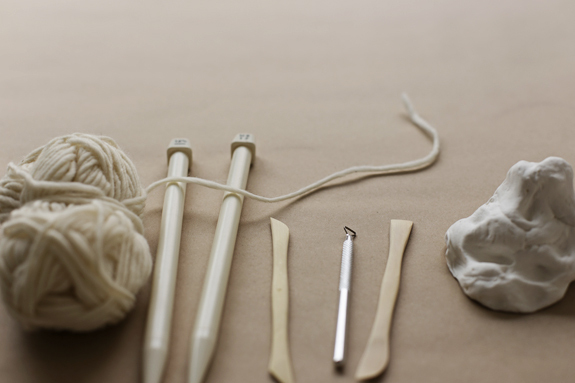 Knitting is a step-by-step process. Each stitch must be perfect before the knitter can move on, and mistakes cause ripple effects out into the rest of the work. 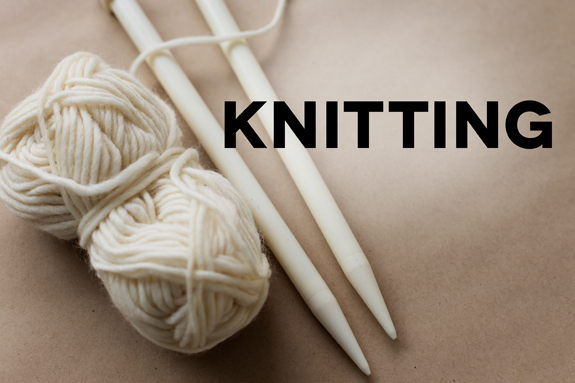 Knitters can't to skip to the end or bounce to another part of the project, they work one stitch at a time until they're finished. Workers who are "knitters" start at the beginning and deal with each section or obstacle as it arises. In music, these are the people who learn rehearsal A before they can go on to B. 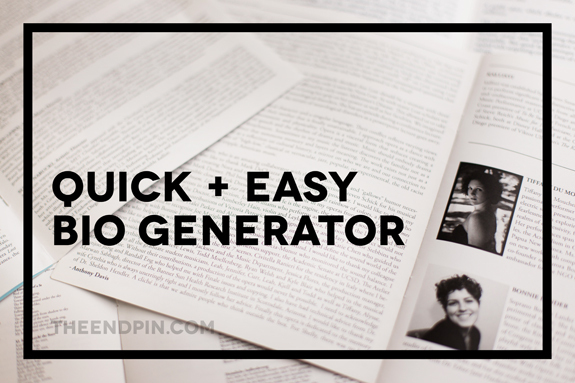 They perfect the first phrase before dealing with the next and are inclined to start the metronome at its lowest setting, working their way click by click to the final tempo. They thrive on detail and the micro-level. At their worst, the knitter is all nuance and no vision, or can't find their way to the end a project. At their best, they're the master of detail and patience. 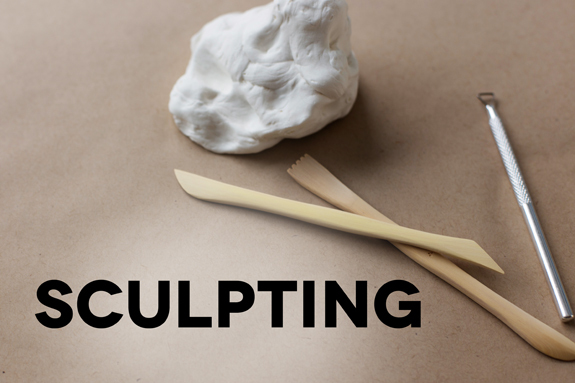 Sculptors begin with a chunk of clay or rock. From the whole, they slowly chip away, forming details layer by layer. They move around their medium, revealing the whole as they refine the edges of their work. Working on one section without stepping back to examine the whole results in distortions and imbalances, so the sculptor always has their eye on the gestalt. Workers who are "sculptors" begin each project with an overview to evaluate all challenges and get a sense of the final result. 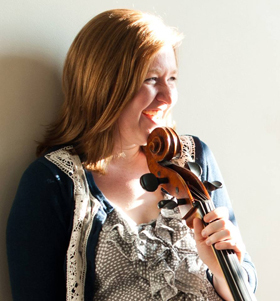 In music, they're likely to play through a piece, deal with small issues, then run through the piece again to see how their solution fit into the larger context. They drill down from the whole into its details and always place musical elements in a large scale. At their worst, sculptors are full of grand gestures without the substance to back them up, or they end up with a sloppy final product. At their best, they're masters of form and vision. 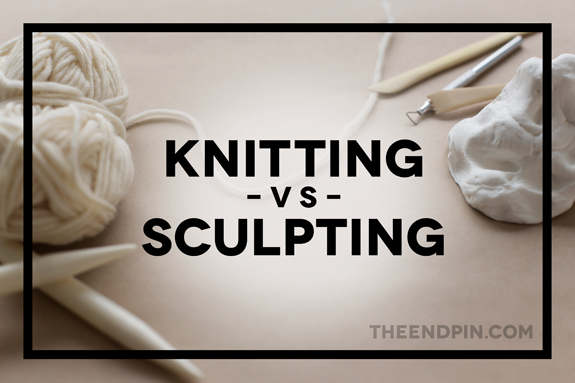 In reality, none of us are only knitters or only sculptors - we land somewhere in between, but might lean one way or the other. Depending on what's being asked of us or what phase of a project we're in, we might switch between the two styles. But, because music is so often collaborative, it's still helpful to know which way you lean. For example, I'm almost always a knitter, so, left to my own devices, I'll drill a detail into the ground until. It. Is. Perfect. That's fine in my personal practice, but can be soul-sucking for my sculptor collaborators. I'm always careful to keep an eye out for the glazed over "can we PLEASE move on!" look from my partners in music - that's when I know it's time to switch to sculpting! Being aware of my penchant for knitting is also helpful when I start new projects. I know if I need to learn a piece of music quickly, I might not have time to knit - if I do, I'll probably sound rough at the end of the piece. Instead, I know I'm going to have to let go of a few details and spend some time sculpting. In the end, it's best to be able to knit and sculpt, and either method can be learned with a little targeted effort. Both styles are useful in different settings, and both end in beautiful art. So which are you? Knitter or sculpter?